Some time was spent getting hands-on with the testbeds for the TransSec project. 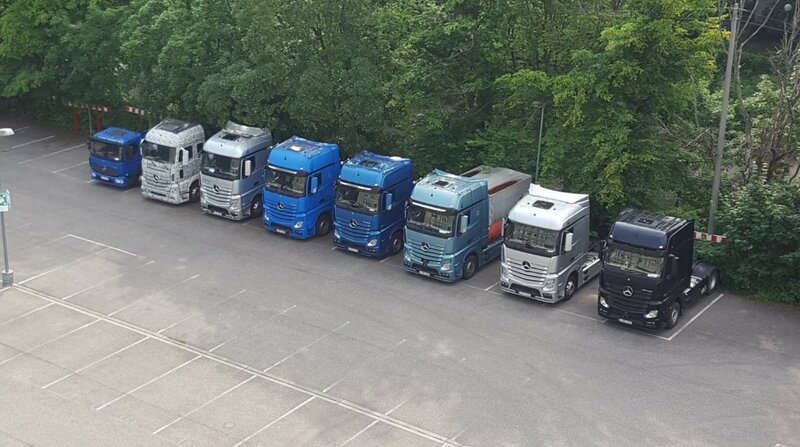 Usually testbeds consists of servers, electronic hardware and simulations to reflect the real environment, but for TransSec we are using the real thing. 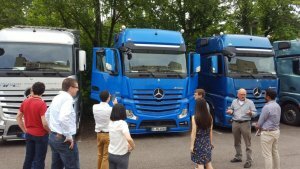 As our hosts at the plenary meeting showed us around the trucks which have been made available to the project, each member of the consortium gained a unique perspective around the real issues that form the basis of the TransSec project. 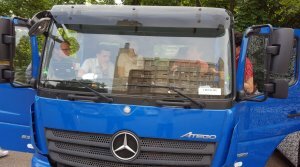 Our thanks to our project colleagues in Daimler AG in Stuttgart for making the trucks available, and also for the very informative tour of the vehicles, and the use of those vehicles in real-life situations.